Whether its their best selling Velvet Teddy lipstick, their popular Prep and Prime base, or their famed Studio Fix foundation, MAC is a staple in the makeup drawers of pretty much every blogger going. But today I'm here to share with you an unpopular opinion: I don’t shop at MAC, and I probably never will. Don't get me wrong, I've had the chance. I won a MAC gift card in a blogger giveaway, and I was gifted a MAC voucher for Christmas, but I've given both of these away. Wanna know why? Just keep reading. 1) MAC tests on animals. MAC is not a cruelty free brand. Because they sell their ranges in China, this means that their products are tested on animals, as this is a legal requirement that China has for cosmetics that are imported into their country. 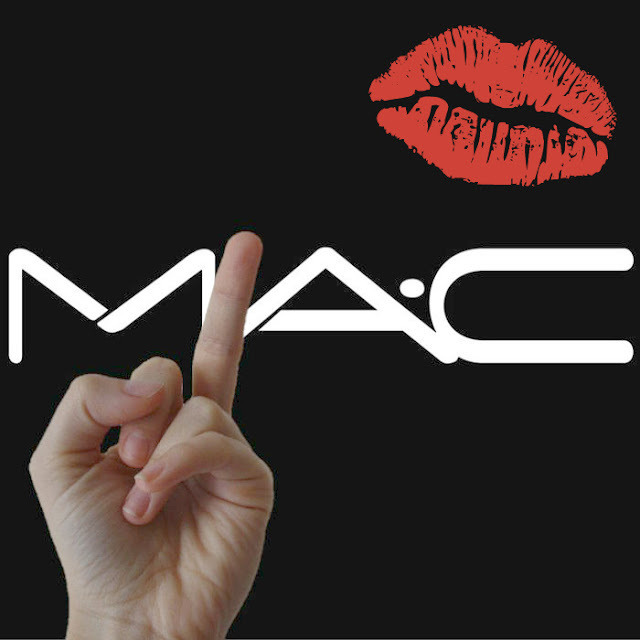 MAC's full policy can be seen on their website. I find it so disappointing that in this day and age, the makeup industry still tests on animals and puts them through lives of pain, suffering, and misery. One of the most powerful things that you can do to stop animal testing is to stop purchasing from companies that are not cruelty free, and this is one of the main reasons that I do not buy MAC products. 2) Their shops and staff are intimidating. I have never felt welcome in a MAC store. I don't wear a great deal of makeup on a daily basis, and when I popped in to my local MAC store in order to pick up a lipstick for my blog launch giveaway, I was wearing none at all. I wasn't dolled up, I was wearing baggy jeans, my glasses and an oversized jumper, carrying my uni rucksack. The dirty looks that I received from the impeccably made-up staff made me feel so uncomfortable and unwelcome. One girl practically sneered as she came up to me and said I looked like I could use some help. I promptly left and decided to shop online instead. 4) So many good dupes exist! Beauty bloggers (naturally) are your friends here! If there's a great MAC dupe out there, I can guarantee that someone in the wonderful beauty community has blogged about it! I can recommend Aisha's post about a dupe for MAC's Impassioned, and Mary's post about a dupe for MAC's Amber Times Nine eyeshadow palette to get you started. Keep reading, who knows what moneysaving dupes you'll discover! Do you shop at MAC? Why? Why not? Share in the comments below and let's start a discussion!